Elaine thought she had accepted her life as an adopted child. Now, on the verge of college graduation and her twenty-fi rst birthday, she's not so sure. A recurring dream from her childhood has returned. Who is the old man in the dream and why does it seem so important to find him? Despite her mother's pleas, Elaine begins a search that leads her from Boston, Massachusetts to Independence, Missouri. Alone for the first time in her life, Elaine is faced with choices she wouldn't have imagined. What is she really searching for, and will she be willing to accept what she finds? Love, faith and family will all be tested as she searches for the Missing Pieces. 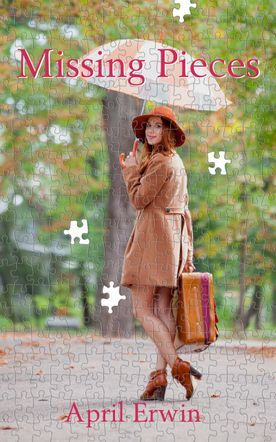 Read a Sample of Missing Pieces on my blog by clicking HERE. You may remember Missing Pieces best with this original cover. The second edition has been updated and given a fresh new cover. If you enjoyed the first edition, be sure to share this exciting new re-release with your family and friends.